LONDON | MUMBAI, February 22, 2016: Tata Consultancy Services (BSE: 532540, NSE: TCS), a leading IT services, consulting and business solutions organization, has been awarded the Business Superbrands status for 2016. 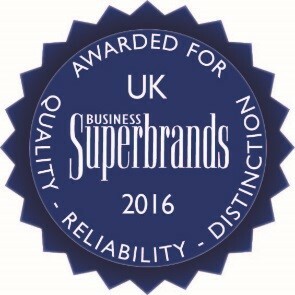 TCS’ Superbrands status has been awarded following the most recent evaluation of the long-running annual survey, which has been identifying the UK’s leading business-to-business brands since 2001. The process was managed by The Centre for Brand Analysis (TCBA) and involved a survey of 2,500 individual business professionals across the UK, as well as the independent and voluntary Business Superbrands Council. The two audiences judged nearly 1,500 brands, which they assessed on three key criteria: quality, reliability and distinction. The Superbrands report is the latest recognition of TCS’ enhanced brand strength. The company was recently ranked as the world's most powerful IT services brand by Brand Finance with a score of 78.3 points – earning it an AA+ rating. TCS is also the fastest growing brand within its industry over the last 6 years. The company’s overall brand value has increased from US $2.34 billion in 2010 (when the first evaluation of the TCS brand was conducted) to US $9.04 billion in 2016; a growth rate of 286%. Rated as the #1 company in customer satisfaction across the IT Services industry in the UK, TCS has continued to raise its brand profile over the past 12 months by leveraging its digital capabilities. This has included initiatives such as the ElectUK app, which was created in 2015 to engage UK General Election voters by turning their smartphone into a Big Data social media analytics tool. The innovative nature of the app and the surrounding campaign has earned it several awards including 'Best mobile brand campaign' at the Social Buzz Awards and the Public Relations award in the technology sector by PRCA. TCS’ innovative Youth Report on the digital workplace of the future was awarded a Gold rating for Communications at the Corporate Engagement Awards 2015. TCS also supports the Queen Elizabeth Prize for Engineering and is collaborating with the Royal College of Art in London to build a Design Innovation Lab. In recognition of its digital initiatives, TCS was ranked as one of the most innovative companies in the world by Forbes Magazine. As an employer of more than 11,000 people in the UK, TCS is also considered a major employer brand in the country. This focus on people is reflected in several recent awards, including TCS being named as the #1 employer in the UK by the Top Employers Institute earlier this month and was also named Company of the Year at the 2016 Employee Engagement Awards. The company also won an HR Distinction award for Innovative Use of Technology in 2015. Working with over 40 partners TCS is also driving community engagement and impact in the areas of health, sustainability and education. TCS has been investing in its IT Futures programme to help address the UK’s IT skills gap. Since its inception in 2013, through partnering with TeachFirst, MyKindaCrowd and STEMNET, IT Futures has helped reach over 25,000 young people across the UK with IT challenges, coding and application design competitions and classroom teaching. As part of this initiative, TCS has set up a partnership with the British Council to create 1,000 paid internships, giving UK graduates the opportunity to live and work in India for a year. Shankar Narayanan, Country Head, UK & Ireland, TCS, said: “It's an honour to be recognised amongst such hugely influential brands, many of which are TCS’ partners or clients. The efforts of our 11,000 UK employees – our best brand ambassadors – will continue to build our brand, evolve our customer’s businesses and help strengthen the UK's position as a leader in the digital economy." Stephen Cheliotis, Chief Executive of TCBA and Chairman of the Business Superbrands Council, said: “A potent reputation is a critical advantage for a company. As an annual barometer of brand strength, those companies performing well in this year’s Business Superbrands survey can take confidence in their reputation. Being a leading Business Superbrand is not just about being the most well-known, but also about standing out from rivals and being perceived to consistently deliver a good quality service or product. The fact that the Business Superbrands process canvasses both business-to-business marketing experts and business professionals reaffirms on all counts that the brand is performing well”.